By default, windows does not provide any option to turn off your computer’s monitor from the desktop. Well of course its a easy task to turn off any monitor, but what about those who have a multi monitor setup? Although turning off multi monitors isn’t a time consuming task, but who doesn’t want to perform simple tasks quickly and the easy way? For those who want to turn off their monitors within a single click of their mouse, read on to find out how you can turn off your computer’s monitor or monitors using a desktop shortcut on windows. First of all, you will need to a tiny and multi-purpose utility called as Nircmd. While this tiny utility may be around 100kb in size, but you will be surprised by the things that it can do. For a complete list of what this tiny little utility is capable of, take a look at its download page at nirsoft. Next you will need to extract the contents of the downloaded file and save it in a folder, most preferably somewhere in the C drive. Once you’ve done that, simply follow the instructions below. 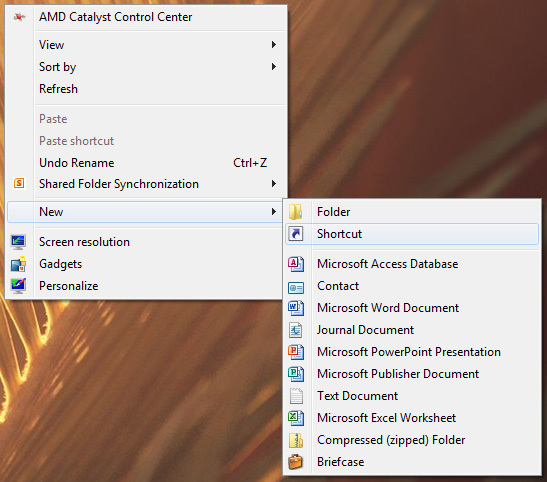 Step 1: Right click anywhere on the desktop and select New > Shortcut. 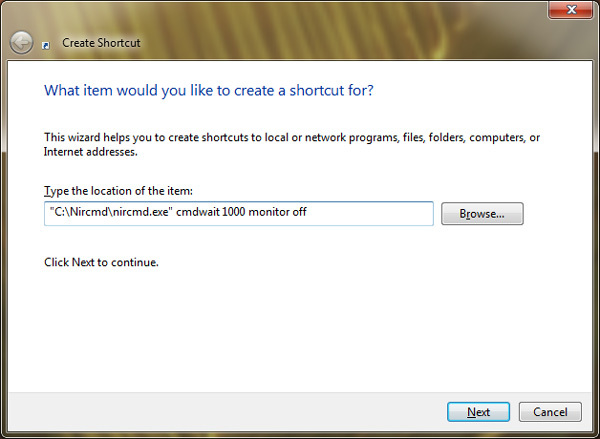 Step 2: Now click on browse and navigate to the location where you had saved the nircmd.exe file and select it. Here’s how the final argument should look. 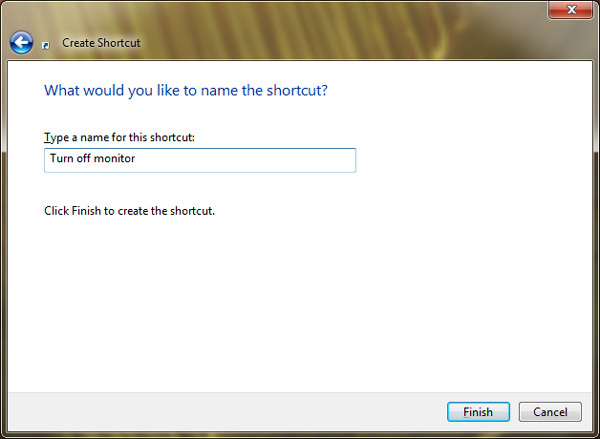 Step 4: Click on next and enter a name for the shortcut. Finally click on finish to create the shortcut. That’s it and now you can double click on the shortcut created to quickly switch off your computer’s monitor. Additionally you can even change the shortcut’s icon and give it a new look. To do that you can right click on the shortcut and select properties. Next click on icons and select from any of the icons available on windows. Alternatively you can even download icons from the internet and use them. Finally click on OK to save the changes. How much RAM does Windows support?